Vermont is a magical place in which many of its villages are a "step back in time." It is a mix of essentially rural, agricultural, and natural wonders. 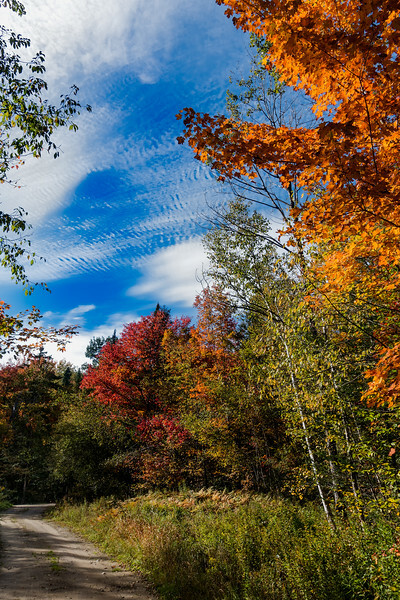 Beautiful almost any time of the year, the "Fall Foliage" season marks the time this New England state is in its most full splendor. I have been connected to Vermont since 1968, when I began spending my summers there on a family-owned dairy farm. I have since lived there for several years, and attended two different post-secondary schools -- Vermont Technical College in Randolph Center and The University of Vermont in Burlington. I credit a teacher at the former school with first stoking the creative fires of photography within me.